Only 137g lightweight, fast dry, breathable upper, ergonomics design perfect fit your feet, extremely comfortable like hug your feet. Quality fast dry spandex upper and eco-friendly solid TPR sole, protect you feet from getting hurt. Anti-skid and abrasion resistance sole. 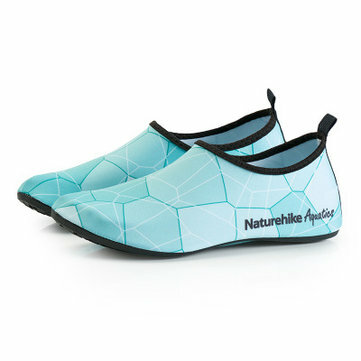 Can be used as beach shoes even yoga swim indoor shoes, it looks good and so comfortable.